Now the Galaxy S10 has hit the shelves, discussion has shifted to the Galaxy Note 10. We’ve heard a lot about what the successor will bring to the table, and now a set of renders released by Phone Arena could show us what it will look like. It’s important to emphasize, however, that this design is far from confirmed — it’s a concept, based on recent rumors, so it’s purely for entertainment purposes. That said, some of the design elements Phone Arena envisages aren’t too far-fetched. The camera configuration on both the front and back, for example, wouldn’t be off-brand for Samsung. 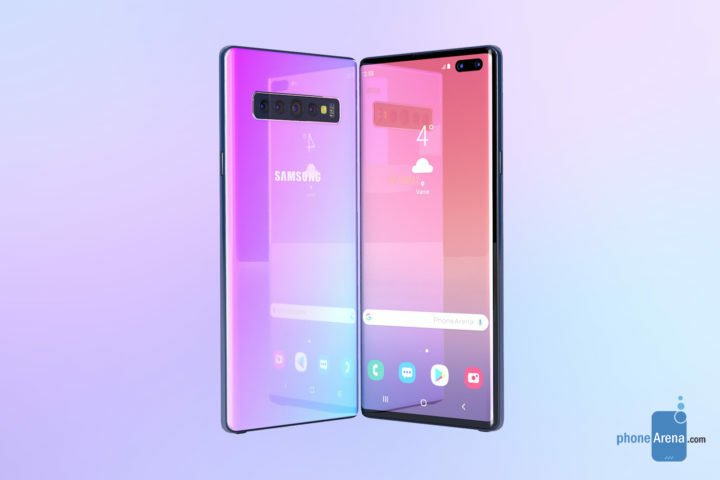 In fact, based on concept renders we’ve seen of other devices in the past, Phone Arena has played it safe, with the crux of the design based around the direction Samsung headed in with the Galaxy S10. What’s more, it didn’t attempt to reinvent the wheel, and that’s a good thing. Why? Because this could actually be what the Galaxy Note 10 looks like, as it lies on a test bench somewhere in China. 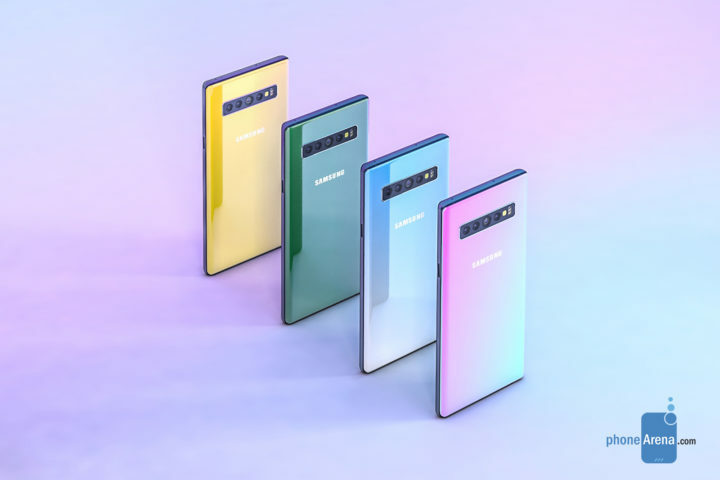 There’s every chance it could be way off base, though, and Samsung is actually working on a handset that’s drastically different to that of the Galaxy S10 — but until the leaks start flooding in, we won’t know for sure. No, no punch hole !!! How will the Note avoid being just a ‘stylus edition’ of the S+ ? I’d like to see some recognition that it will be used at work, able to control a ceiling mounted projector. Those tend to use IR control. So does the office AC unit, and the one in the project site portacabin. And the TV in an endless succession of hotel rooms also used IR. Got it Sammy? Looks the same, ugly back with 50000 cameras and the fugly dual camera notch on the front, no thanks. 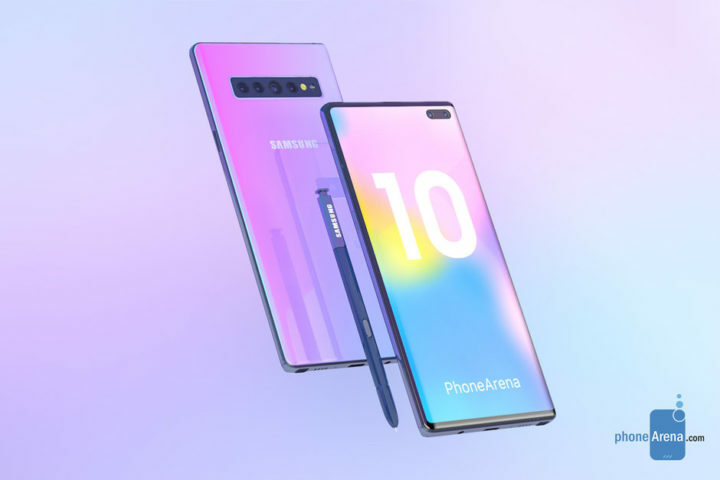 I will skip the Note 10 because of the punch hole. (If it will be there at all). And my Note 9 will do at least two of more years before I exchange it for another S-Pen device. It think there is a possibility that the name (Note 10) will be different because of the fact that there allready was a Note 10.0/10.1(They were tablets but…). Note X??? They better put an LED notification somewhere. Next to the speaker or around the (ugly) punchhole. That’s an S10 5G with an S-pen next to it. I’m really starting to lean more towards the Fold. They need to combine the dual front cameras of the S10+ into one camera module and have a minimal hole punch for the Note10. A ToF camera on the back with enhanced AR capabilities that are controllable with the S Pen. Bigger battery still, headphone jack, 4K HDR recording capabilities and inductive charging i.e. wireless power share+, where you can plug in the Note10 to charge, and use it to wirelessly charge another device. Why in China, and not in Korea ? All leaks are from China. I can’t wait for it. Last year the Note 9 was a S9+ Stylus Edition. So I guess they will do the same this year. Too bad they have the front camera cut-out. I rather have it pop up like the Nex or alledgedly the OnePlus 7. We can always hope for a non-glass, non-slippery back. How do you imagine Note with without glass ?